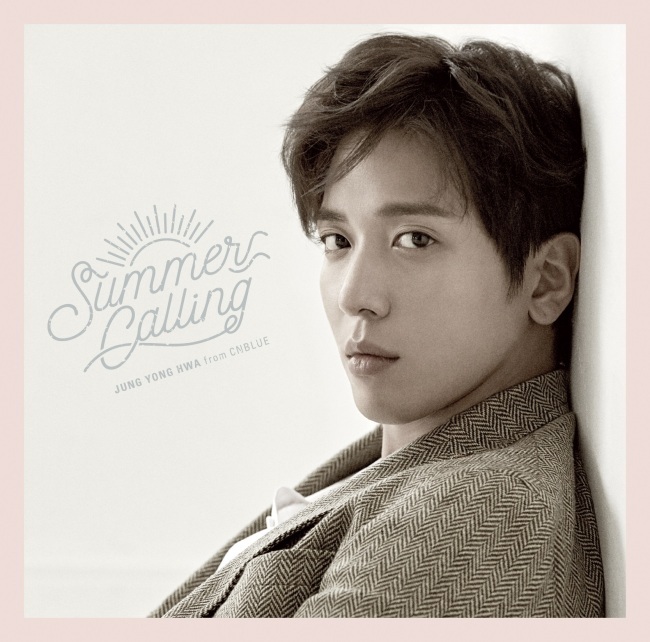 Jung Yong-hwa of the band CN Blue on Wednesday released “Summer Calling,” his second album in Japan. The eight-track album marks the first time in 29 months that he has released a solo album in the country. The title track “Summer Dream” is a trendy dance number that will “cool off the summer heat,’ said Jung’s agency FNC Entertainment. Jung and Japanese model Laren Tsai played lovers in a fledgling romance in the recently-released music video. The EP’s lead track “That Girl” was a cheery, upbeat song featuring rapper Loco. In commemoration of the release, the singer will kick off a tour in four Japanese cities on Aug. 22. Jung is the leader and vocalist of CN Blue, a four-man boy band formed in 2010 that consists of Jung, Lee Jong-hyun, Kang Min-hyuk and Lee Jung-shin.